Furiends, I’m delighted to tell you all that we have bought a new boat! After years of searching we have found our new home! She’s an Amel Super Maramu 2000 and we’re going to rename her SV Titanium! It’s a HUGE change for us all but we are so excited about our new adventures! 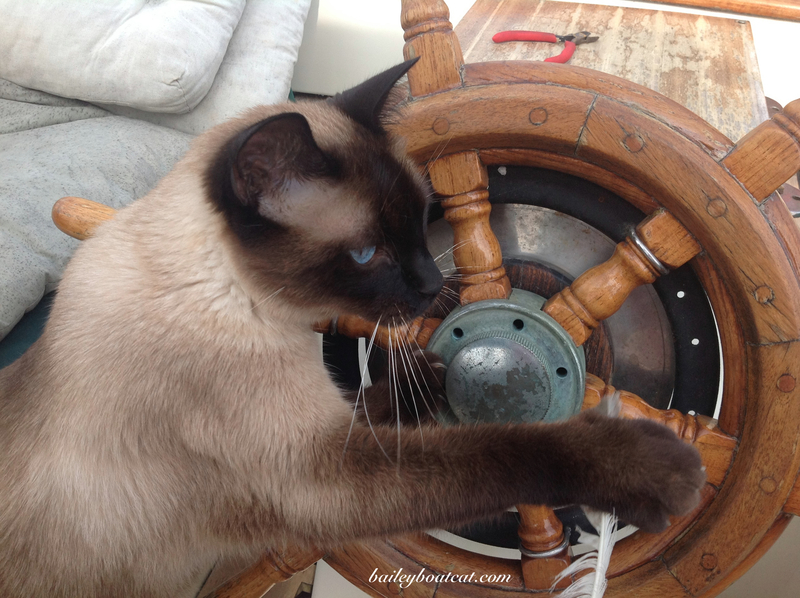 I can’t wait to get my paws behind the helm again! The humans have also been busy and mum has posted on her new blog about it here if you’d like to see what they’ve been up to. We’re all in England now staying with cousin Dexter, and all of the gang, and I’ll post a proper update soon, but Dex is doing well and is so appreciative for all of your well wishes. What a beautiful new home Bailey, You certainly deserve her! Purrs from Cat Scout Pete in Florida! CONGRATULATIONS! How do your siblings like their new home? Congratulations, B.! Best wishes for many safe and exciting voyages on SV Titanium! I’m so thrilled to hear from you. I have missed your posting, so happy happy to see you back. I do understand that your life has been in a whirlwind for quit some time So sorry to hear about your mum’s horrific problems. But I do know that what she has to say about her problems is going to help a lot that is suffering from this dreadful diagnosis. And Dexter so happy to hear that he is doing better. Now the beautiful wedding!!! You two were so gorgeous your pictures were just out of this world and I’m so happy for you both. and now you a beautiful new sail boat. 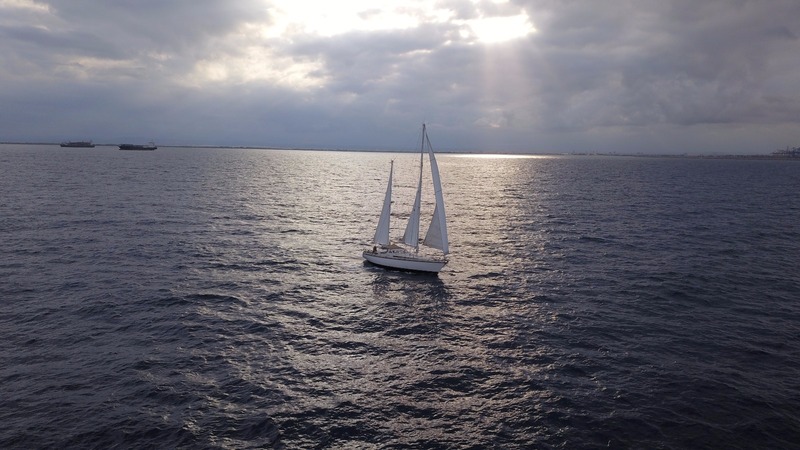 Again I love to hear about the wonderful places you visit when you are out in your sail boat. God Bless your whole gang and I look forward to the new adventure. the new boat is GORGEOUS!! We can’t wait to read about your new adventures! 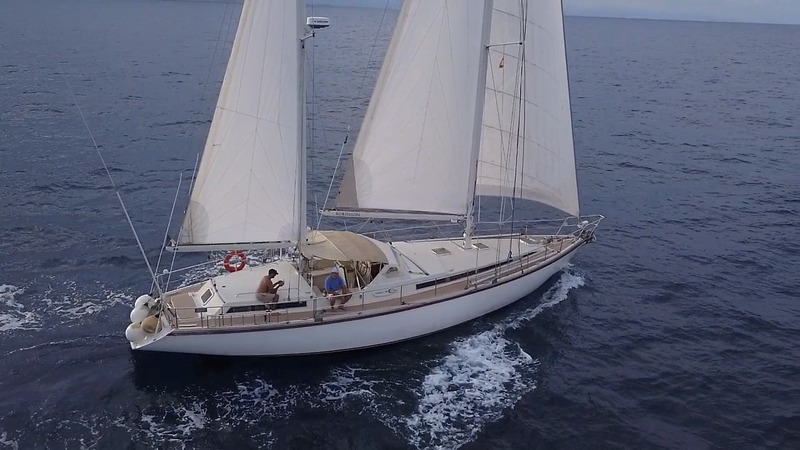 Gorgeous boat, and we await your first dispatch from the helm, dear Bailey! So glad Dexter continues to recuperate and Annabelle is also recovering well. Congratulations! I look forward to reading about your adventures on it. A big congratulations to your humans on their wedding! And the new boat! And new life! How exciting! I can’t wait to hear more. It’s a beautiful new boat Bailey – we hope you and your parents have a lot of wonderful adventures on board. Very happy to hear Dexter is improving….and we hope your Mom is feeling better too. Oh! She is a beauty! Can’t wait to read reports from the family’s travels. We’ve missed your blog. Congratulations to mom and dad on their marriage! Concatulations! We can’t wait to read about your new adventures. Just caught up — wow! Lovely new home.